Meet Chance, the Eastern Box Turtle. A wildlife rehabilitator brought him to our office for treatment of injuries to is shell from being struck by a car. 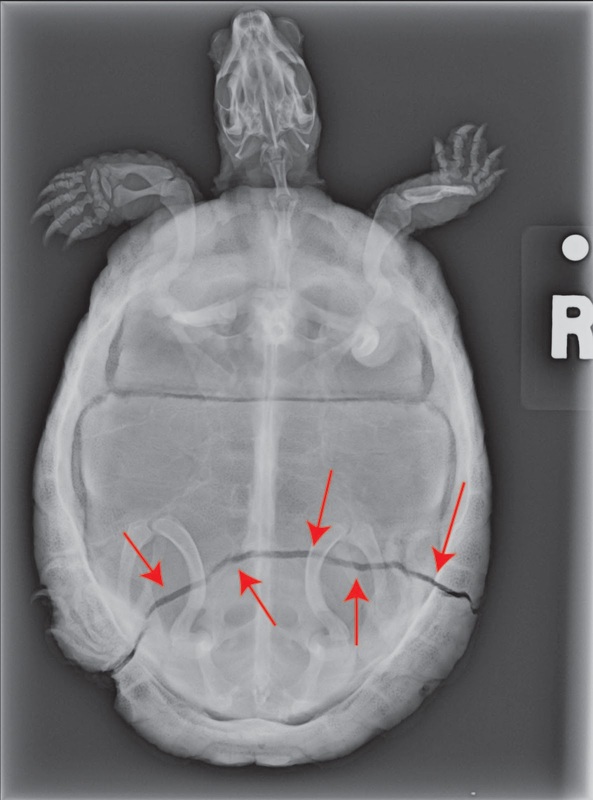 X-rays were taken to determine the extent of the damage to his shell and look for any evidence of internal injuries. After anesthetizing Chance, the fracture site was cleaned of any debris and an antibiotic cream was applied. Small pilot holes were drilled in his shell on either side of the Fracture. Stainless steel screws were carefully placed in the shell. Orthodontic wire was looped between screws on opposite sides of the shell fracture. The wire was tightened until the edges of the fracture were close enough to allow for healing. 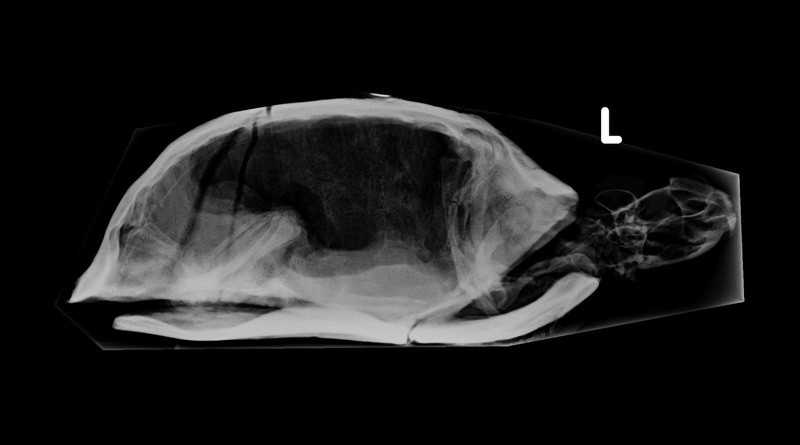 In addition to letting the shell heal, reducing the fracture provides stability and will dramatically cut down on pain. One last x-ray shows the fracture has been reduced. Chance was given pain medication, an antibiotic and some fluids and then allowed him to wake up from anesthesia. Chance the next morning, enjoying a nice slice of Tomato. He will be returned to the wildlife rehabilitator and will need to be cared for until his shell heals & he can be released back in to the wild! This post is dedicated to the memory of Di Conger of Last Chance Wildlife, who passed away last week. Di was a licensed wildlife rehabilitator who cared for countless small animals over many years. She is already sorely missed. 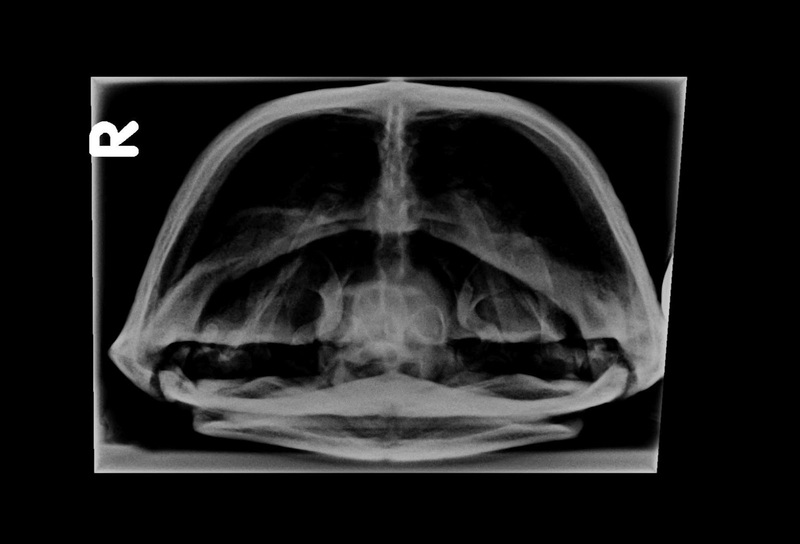 This entry was posted in community, Eastern Box Turtle, Turtle, Turtle Shell Repair, Wildlife Rehabilitation on July 31, 2012 by yourfriends. Is It Illegal to Leave Your Dog in a Locked Car? Yes, it is — in 14 states, at least, and then only if the dog’s life is in danger. We explore the ramifications of this controversial practice. Disclaimer: The content of this article is for informational, educational, and/or entertainnment purposes only and not for the purpose of providing legal advice. Use of and access to this article or any information provided or contained within does not create an attorney-client relationship. The opinions expressed here are the opinions of the author and do not reflect the opinion or viewpoint of Dogster. If you have a legal issue regarding your pet, contact your own attorney. I live in Miami Beach, where the temperature is often in the high 90s, with relative humidity of 95 percent to 100 percent. For eight or nine months each year, it really is like a sweat lodge outside. I’ve been taking care of dogs for years, and I find it absolutely unthinkable to leave a dog in a parked car, even with the air conditioning on. We’ve probably all known someone who does this and won’t be swayed. It’s dangerous, because leaving the air conditioning on requires the engine to be running, which means that the car and the dogs can be easily stolen. Also, if the air conditioning malfunctions or the car is towed, the animals will suffer — or, worse, die of heat exhaustion. In Dogster’s Laws and Legislation forums, Dogster reader Ava wrote of her experience in Virginia. She and her fiance left their two dogs in their car for approximately 20 minutes while they went shopping at Walmart. As they returned to their car, a police officer approached and questioned her fiance about the dogs. Someone had called the police. Ava stated that it was a “relatively” cool night — although humid –- and that she thought the dogs were not in any danger. And she said that the officer did not give them a warning –- he “just drove off after her fiance explained to him that the dogs were just fine and dandy.” A lively discussion ensued and many readers responded. A good number of readers agreed with Ava, basically stating that they would get mad, too, if someone reported that their dogs were in danger when apparently they were not. Other readers took the position that if it was hot, they would report it. One reader was ticketed $150 for leaving his dogs unattended in the car, although he parked the car at a window where he could watch them. Overall, it appeared that most readers felt the owner of the dogs should decide whether it is safe to leave the dogs unattended. I researched the laws of the town of Farmville, Virginia, where Ava’s incident occurred, and the only law related to dogs was a leash law. Still in search of a specific answer, I finally found the Farmville Communications Center, where the animal control officers are located. I asked if there were any laws that made it illegal to lock dogs in a car for a 20-minute shopping visit. I was told specifically -– twice, in fact -– that “as long as there is water and adequate ventilation, it is okay.” Steven Scott Hale M.Ed. J.D. Dogster.com Ava did not say whether she left water in the car for her dogs. Nor did she mention whether the vehicle was well ventilated. If she did not leave water in the car, then she did violate the local law as reported by the animal control officer. However, there is no stated penalty for violating this law. Ava also commented, “I’d never expect someone to call the police about dogs in a car at nighttime. Who does that? Really?” Ava and her fiance obviously felt comfortable leaving her dogs in the car for a short while. However, the anonymous person who reported the situation to the police clearly didn’t feel the same way. Since the caller did not enter the car or attempt a rescue, he or she did not violate any laws, but simply reported what he or she interpreted to be a dangerous situation. It is not my position to take sides, but I do want to take a closer look at the issues. 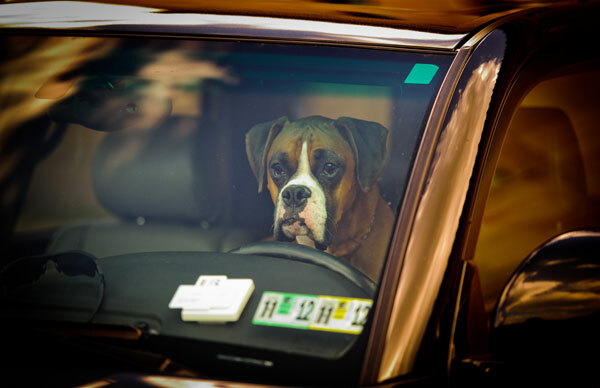 Fourteen states have laws that regulate and/or prohibit leaving animals locked in cars. Should a pet owner have the right to treat their animals in any way they see fit? Obviously, according to 14 states, the answer is “absolutely not.” Despite the fact that dogs and pets are personal property, there is a public interest in treating that property with respect. After all, most dog owners do not see their dogs as property, but as loving family members. This entry was posted in dog in car, illegal on July 26, 2012 by yourfriends. I took one cat to the vet, and now my house is a war zone! My friend texted me the other day and wanted to know how long “displaced aggression” would last in cats. Not really knowing the context of what was going on I thought she could have a more difficult behavioral issue going on. She has a two cat household and one cat was being very aggressive and “freaking out” whenever the other one came around. After further questioning the situation was this…..
for a visit without the other. They come home smelling like the vet and for the next few days they are completely ostracized and bullied. This can be very stressful for everyone living in the house- pets and people. on how to resume the peace. First, I let my friend know that it’s common that Cat B would only act aggressively toward the cat and not her- even though she smelled like the vet’s office also. Option one for all of you that are not in her situation and are reading this before you take only one of your cat’s to the vet- if it’s a feasible option- take them BOTH! One can just ride along, sit and watch, and they both go home smelling the same- case closed. If you have many cats or it’s stressful for the cat to just ride along when he’s not being seen, don’t worry, there are other tactics to use to help if this occurs in your household. Don’t just reintroduce the cats back together immediately- separate them in different rooms for about an hour. This gives the cat who went to vet time to relax and calm down and also time to reclaim it’s “house” scent. Use a dry washcloth to wipe all over the cat who has stayed home, then use it to rub the “offensive” cat to transfer the household smell to it. You can up the ante a little and use a wet washcloth in the same manner if the dry technique doesn’t help. Bathing is an option- but that is usually NOT fun for the cats or their owners! Another option is felaway spray- this is a calming hormone spray that you spray into the environment. 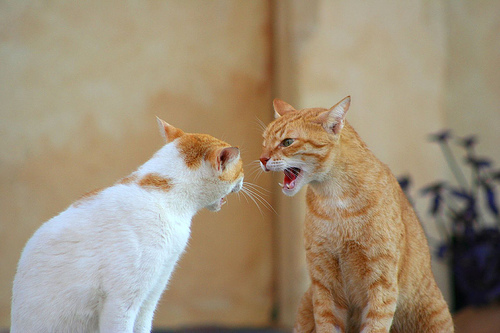 your cats will once again live amicably together! This entry was posted in behaviorial issues, cats, displaced aggression on July 25, 2012 by yourfriends. Hyperthermia is a term describing an elevation in body temperature. This increase typically occurs as a response to a trigger, such as inflammation in the body or a hot environment. When a dog is exposed to high temperatures, heat stroke or heat exhaustion can result. Heat stroke is a very serious condition that requires immediate medical attention. Once the signs of heat stroke are detected, there is precious little time before serious damage – or even death – can occur. Dogs do not sweat through their skin like humans – they release heat primarily by panting and they sweat through the foot pads and nose. If a dog cannot effectively expel heat, the internal body temperature begins to rise. Once the dog’s temperature reaches 106°, damage to the body’s cellular system and organs may become irreversible. 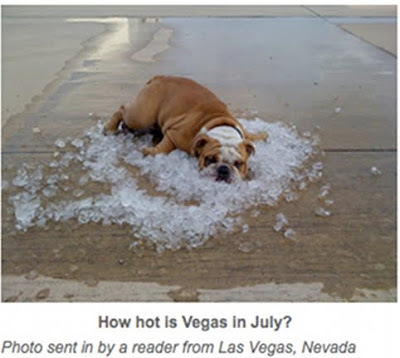 Unfortunately, too many dogs succumb to heat stroke when it could have been avoided. Learn how to recognize the signs of heat stroke and prevent it from happening to your dog. If you have even the slightest suspicion that your dog is suffering from heat stoke, you must take immediate action. First, move your dog out of the heat and away from the sun right away. Begin cooling your dog by placing cool, wet rags or washcloths on the body – especially the foot pads and around the head. DO NOT use ice or very cold water! Extreme cold can cause the blood vessels to constrict, preventing the body’s core from cooling and actually causing the internal temperature to further rise. In addition, over-cooling can cause hypothermia, introducing a host of new problems. When the body temperature reaches 103°, stop cooling. Offer your dog cool water, but do not force water into your dog’s mouth. Call or visit your vet right away – even if your dog seems better. Internal damage might not be obvious to the naked eye, so an exam is necessary (and further testing may be recommended). Tip: recruit others to help you – ask someone to call the vet while others help you cool your dog. There are ways you can prevent heat stroke from happening in the first place. NEVER leave your dog alone in the car on a warm day, regardless of whether the windows are open. Even if the weather outside is not extremely hot, the inside of the car acts like an oven – temperatures can rise to dangerously high levels in a matter of minutes. Avoid vigorous exercise on warm days. When outside, opt for shady areas. Keep fresh cool water available at all times. Certain types of dogs are more sensitive to heat – especially obese dogs and brachycephalic (short-nosed) breeds, like Pugs and Bulldogs. Use extreme caution when these dogs are exposed to heat. 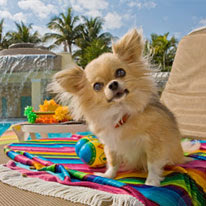 Some dogs can recover fully from heat stroke if it is caught early enough. Others suffer permanent organ damage and require lifelong treatment. Sadly, many dogs do not survive heat stroke. Prevention is the key to keeping your dog safe during warmer weather. This entry was posted in heat stroke, Hyperthermia on July 18, 2012 by yourfriends. During these beautiful, sunny, summer days- don’t forget the sun screen- for your dog! Although they do not sunburn as easily as people, dogs can get sunburned. Light-colored or hairless dogs are more at risk than other types of canines. Burn severity is determined by the number of layers of skin that are affected. Therefore, when diagnosing how bad a burn is, a vet may use a lot of big words along with the “thickness” of the burn. Below is a description of the types of burn to help you know what’s going on. The type of burn most often seen in a dog is a superficial partial thickness burn. Superficial partial thickness burns are similar to first-degree burns in people. In this type of burn, only the top layer of skin is involved and the hair (if present) may still be attached to the skin. The skin appears red and no blisters are seen. Worse is a deep partial thickness burn. Deep partial thickness burns are similar to second-degree burns in people. The surface layer and some deeper layers of skin are involved. In people a second-degree burn will blister but this is not so in dogs. Instead the skin is red and some layers of the skin may be exposed. Lastly, although rare, are full thickness burns. Full thickness burns are similar to third-degree burns in people. The burn extends through all layers of skin and may even include tissue beneath the skin. Immediately after the burn, the skin may look like leather or the surface of the burn may appear white. Obviously, the summer months are going to be the time of year when at-risk animals (hairless and light-colored breeds) are most susceptible to sunburn from too much time spent in the sun. If you suspect your pet has a sunburn, veterinary care is recommended. As mentioned above, dogs do not burn as easily as people, so more damage has occurred to the skin than you may be able to initially see. After diagnosis and initial treatment, daily treatment with wound cleaning and topical medication may be necessary. For dogs at risk, apply sunscreen before spending time outdoors. Just like with us, it is suspected that repeated sunburns may result in permanent skin damage and even possible skin cancer. This entry was posted in Sunburn, Sunscreen on July 11, 2012 by yourfriends. Any veteran from any war knows the suffering involved with Post Traumatic Stress Disorder (PTSD). And now with so many returning men and women from Iraq and Afghanistan, the numbers of veterans in our country with PTSD is staggering. Add the frequent incidents with IED’s (Improvised Explosive Devices), and you have a significant increase in Traumatic Brain Injuries (TBI) as well. Both disabilities often come together, and insurance companies do not cover the use of service dogs to assist the veteran with symptoms associated with PTSD and TBI. Thus, to obtain such a dog, one would have to provide at least $10,000 to $30,000 or spend countless months seeking grant money to cover it. For a veteran to complete the Paws and Stripes™ program, the cost is a flat $2000. Furthermore, Paws and Stripes™ covers this cost, and the veteran never pays a penny of it. Jim Stanek, one of the founders of Paws and Stripes™, was sent home from his third tour in Iraq for injuries he received on deployment. After nine months in treatment at Brook Army Medical Center in San Antonio, TX, Jim discovered that the most comfort and relief he found was in the presence of therapy dogs. In May of 2010, Jim and his wife tried to obtain a trainer for their rescue dog, Sarge. They soon found out how difficult and expensive this process is. After being either turned down or unable to pay for service dogs from multiple organizations, the two looked at one another and agreed to start their own organization for veterans. Incorporated in June of 2010, Paws and Stripes™ was born. Now, he has trained his own service dog, a process that he has found rewarding, relaxing, and more effective than any pill or therapy session. Many service dog providers require that an individual accept a service dog that has already been bred and trained according to their principles. Therefore, with these providers, the veteran would have no say in which dog they are given. Paws and Stripes™ allows the veteran to choose their own dog, then train the dog with the professional trainers from A Fresh Perspective Dog Training. Involving the veteran in every aspect of the program facilitates healing, builds self-esteem, increases the bond with the dog, and provides the veteran with the tools to maintain the dog’s training long after graduation. With homeless dogs and over-populated shelters all over the country, Paws and Stripes™ does not breed puppies for the program, nor does it use any breeders as a resource. The organization works with the veteran until they find the dog that is the perfect fit from local shelters and foster homes. and that both may find a new purpose in life. This entry was posted in PTSD, service dogs on July 4, 2012 by yourfriends. Fireworks, Thunder and Lightning. Oh My! Every summer we have many people asking “What can I do for my dog who gets really upset during thunderstorms or when there are fireworks? ” Sometimes pets are only mildly upset, perhaps simply more clingy to their owners. In more extreme cases, dogs can become so anxious that they panic and can even injure themselves or damage the home if they try to escape from a crate or break through a door or window. them from being able to react to their fear. Having said that, there a few situations where sedatives may be a reasonable option. The anxiety medications which we find to be most helpful need to be given daily & take several weeks before they start working. This usually means starting them in spring and giving them throughout the summer. There are definitely some dogs that are good candidates for these medications, but please check with us to find out it that’s the best answer for you. The ideal treatment is de-sensitization. This technique is time and labor intensive, and is best done under the guidance of a certified pet dog trainer, veterinarian or even a veterinary behaviorist. This treatment is based on exposing your dog to the stimulus that causes them to become anxious (thunder, fireworks, etc) at a low intensity while at the same time using training techniques to keep the pet relaxed. Once they become relaxed with the stimulus at a low volume, you can increase the intensity of the stimulus over time. 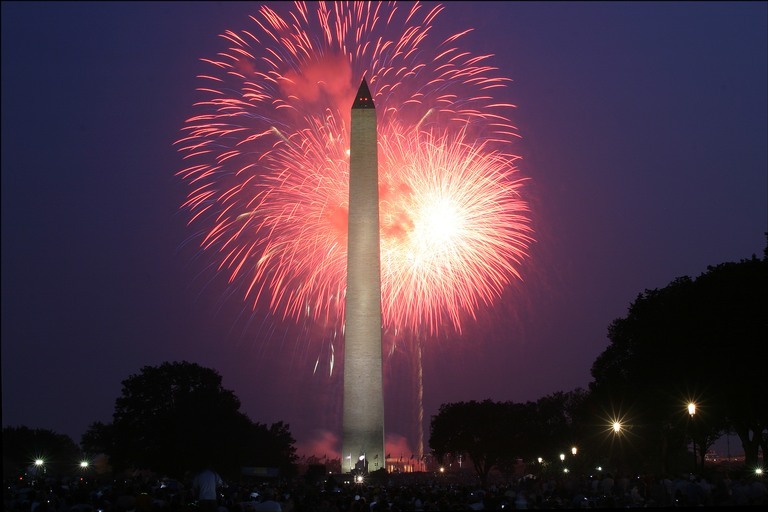 Audio recordings of thunderstorms & fireworks can be found or purchased on CD, MP3 files and likely even smartphone apps. Although this is considered the best way to handle thunderstorm and firework phobias in the long term, it does take a lot of time and work, and is usually best started months before summer. dispenser and is intended to help reduce stress for dogs in many situations. Taking pets to a quieter, darker environment may also help. Close windows to muffle noise and use light blocking window shades. Providing background noise, such as a loud fan or even music may help decrease the stimulation from thunder & fireworks. One other thing that could be considered is lavender. A study was done that showed decreased anxiety in dogs that had travel-induced excitement when they were exposed to the scent of lavender. Although thunderstorm or firework phobias weren’t addressed in the study, they did suspect that the lavender had a calming effect on the dogs studied. 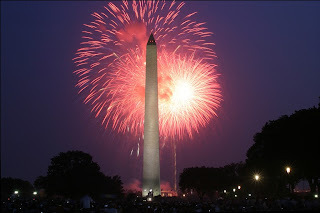 Have a happy & safe Fourth of July! This entry was posted in Uncategorized on July 3, 2012 by yourfriends. A leading pet food company has issued a voluntary recall today on one branch of its popular pet food lines. The recall, however is not related to the rash of pet food recalls issued since April 2012 because of Salmonella contamination. Mars Petcare US, who oversees several popular brands including Royal Canin, Whiskas, Cesar, Nutro, Sheba and Greenies, issued the recall for a different reason: Three varieties of the Pedigree Weight Management canned dog food products may pose a potential choking risk. The affected product may contain small pieces of blue plastic, which entered the food during the production process. The source of the plastic has been identified and the issue resolved. The canned food was distributed to retail customers throughout the United States. Mars Petcare US is working with all of its distributors and retail customers to ensure that the recalled products are no longer sold, nor available for purchase. •UPC# 2310034974 Pedigree + Healthy Weight Premium Ground Entree in Meaty Juices •UPC# 2310001913 Pedigree Weight Management Meaty Ground Dinner Beef & Liver Dinner in Meaty Juices •UPC# 2310023045 Pedigree Weight Management Meaty Ground Dinner Chicken & Rice Dinner in Meaty Juices. Only those cans of dog food varieties with the production codes shown above are included in this recall. Each product will have a lot code printed on the end of the can that begins with 209, 210, 211 or 212 and a Best Before date that falls between 2/24/2014 and 3/23/2014. Pet owners who have purchased affected product are asked to discard the food or return it to the retailer for a full refund or exchange. Consumers who have questions about the recall should call 1-877-720-3335 between 8 a.m.-7 p.m. (CST) or visit www.pedigree.com/update. This entry was posted in Pedigree, Pedigree Recall, Recall on July 2, 2012 by yourfriends.